A personalised contemporary and stylish acrylic photo block. 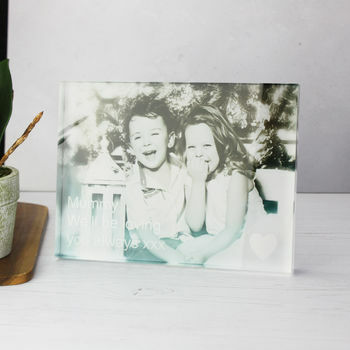 These acrylic blocks are freestanding and will look great on a shelf, window sill, coffee table or mantle. 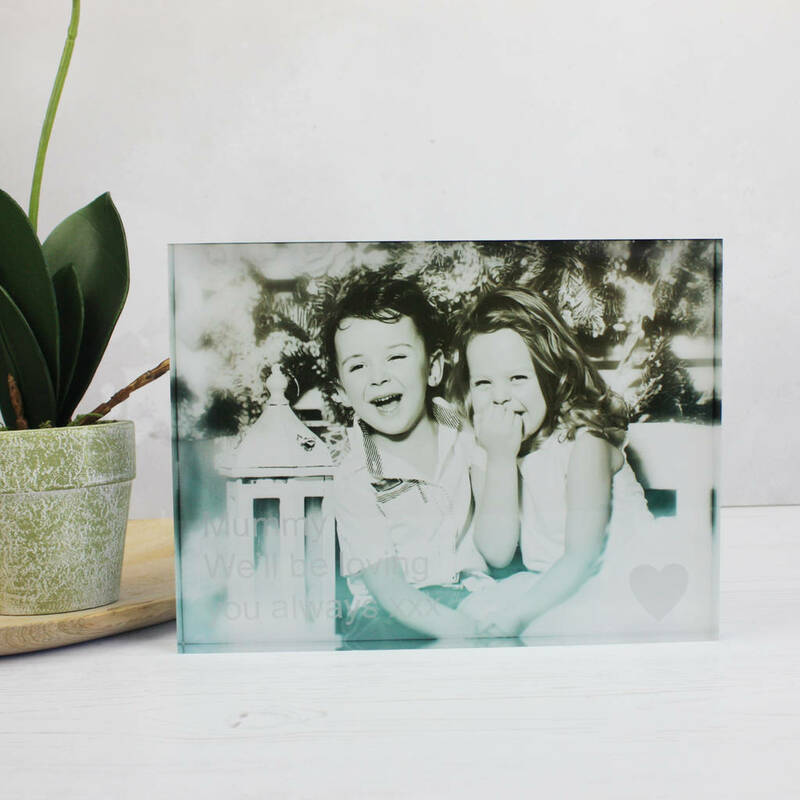 We will take your photo and create a beautiful photo acrylic block to be treasured. 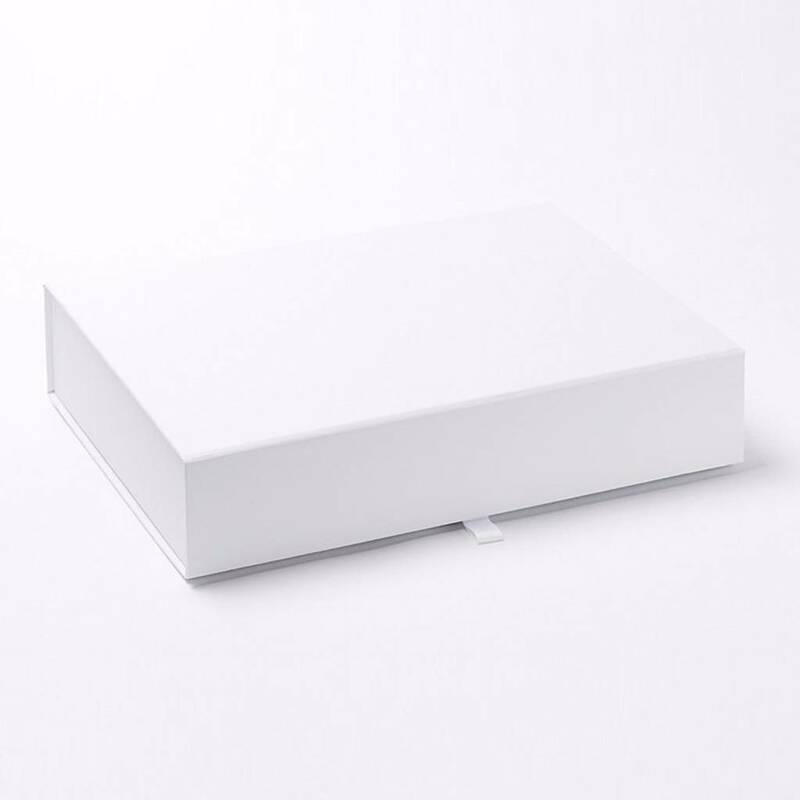 After placing your order please log in to your notonthehighstreet account, click on the ‘my orders’ button, then click ‘contact the seller’. You will then be able to upload your photograph by clicking ‘choose file’. Personalise with your own text. 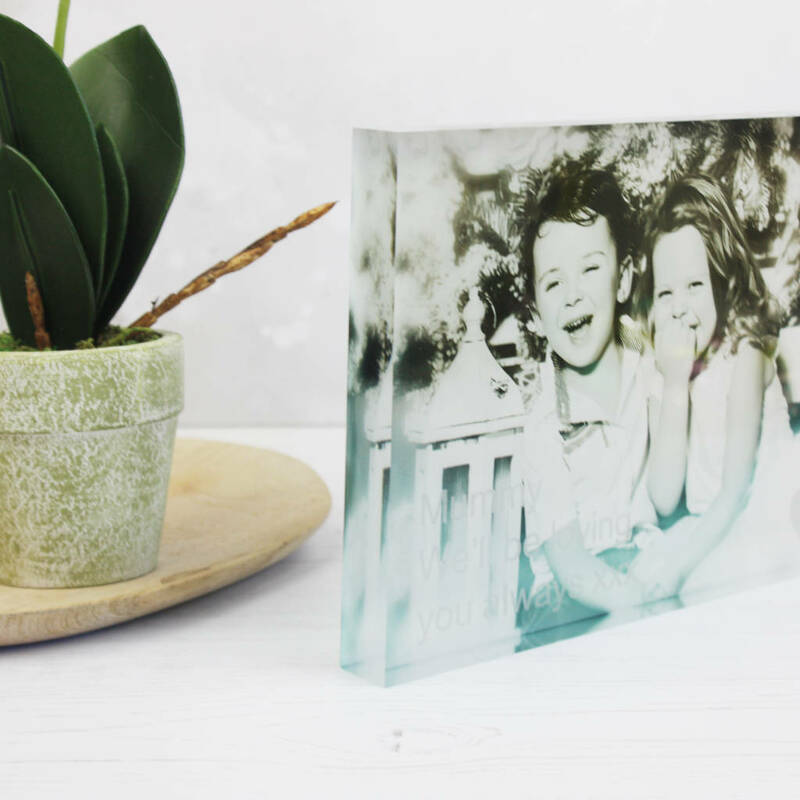 Your photo is printed onto special paper then reverse mounted onto the acrylic. Etch effect text to front. 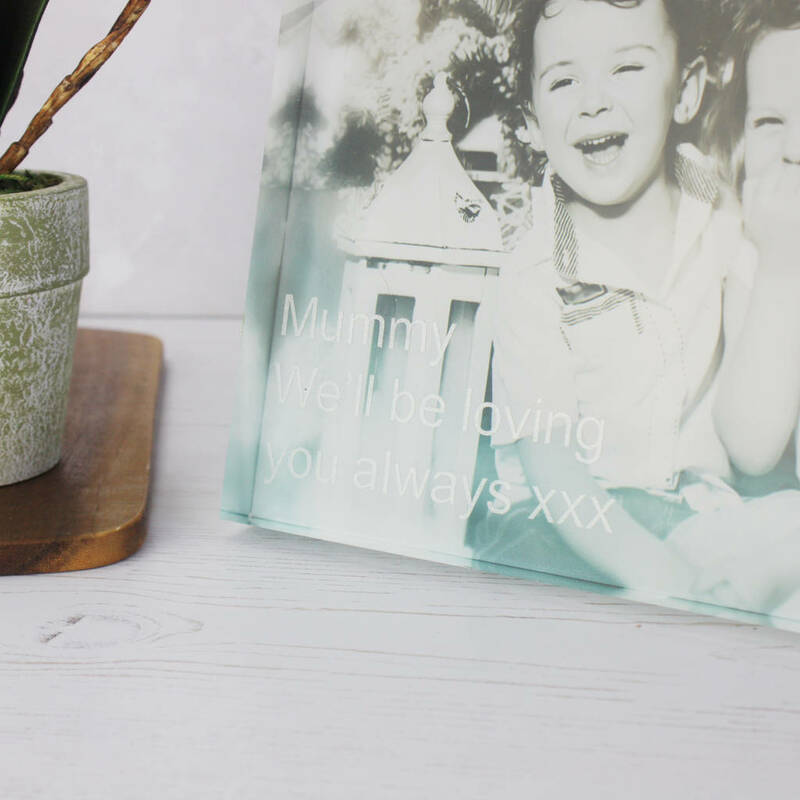 This product is dispatched to you by Nutmeg Home & Gifts.